Visit our store to meet our team of dedicated and experienced staff, who will help you find the right window coverings for your home or office. At Blind Spot Blinds & Shutters, we pride ourselves on our integrity and quality, so you can feel confident with our team and be proud to know who the people you are giving your business to are. D-LUX Window Coverings is one of the leading window coverings contractors in the Tahoe and Reno areas, offering quality solutions since 1990. This family-owned business makes it easy to find the right style, features, and service that are needed for optimal results. Two convenient locations are offered, making it a simple process for homeowners in the area to access traditional, classic, and contemporary styles. The company is a full-service Hunter Douglas provider, which means that the family staff can assist with sales, design, and installation. These showrooms are designed with over 30 displays that include the latest products in the industry. 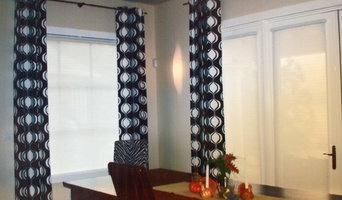 Multiple lines of quality hardware and fabric samples are also offered, making it easy to create custom window coverings. D-LUX Window Coverings offers Hunter Douglas products due to the quality of the materials and the range of products in the line. 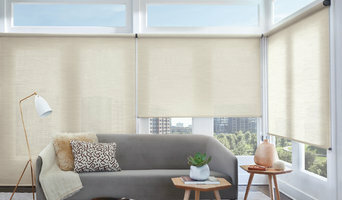 Talk to the knowledgeable staff about the options that are offered, including window shades, window treatments, window coverings, exterior shades, window blinds, window draperies, window shutters, and more. 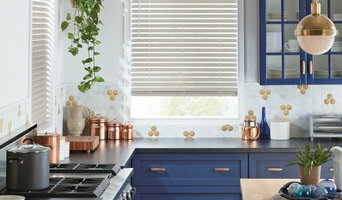 The team has more than 20 years of experience in the art of motorizing shades and blinds. 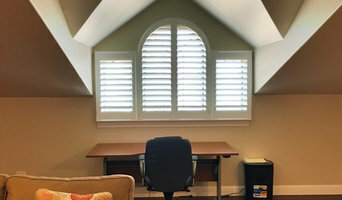 The owner of D-LUX Window Coverings is Cameron Baker, who has built a strong reputation in the area due to open communication, unbeatable product knowledge, fast delivery and installation, and competitive prices. Customers can expect personalized services, financing solutions, as well as an experienced installation team to handle the work. After-sale follow-up ensures optimal satisfaction with the products that are installed. Service areas including Reno NV, Incline Village NV, Sparks NV, Truckee CA, Olympic Valley CA, Tahoe City CA, Kings Beach CA, and more. Find the D-LUX Window Coverings showroom in Truckee on the east side of the Safeway Shopping Center, located off Donner Pass Road on the West side of Truckee. The Truckee CA location is formerly known as Direct Window Coverings of Lake Tahoe. With the opening of their new Hunter Douglas Gallery Store, they changed their name to D-Lux. Visit the Truckee location at 11200 Donner Pass Rd Ste E-4 Truckee, CA 96161. Or, call to schedule a consultation at home: (530) 550-0183.